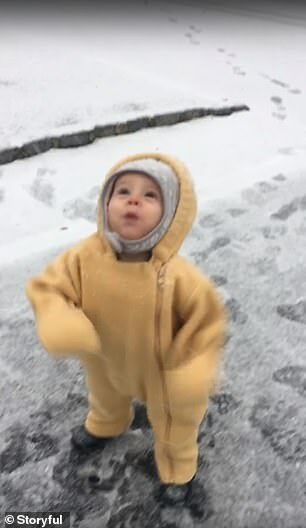 A little boy in New Jersey experienced snow for the first time and the precious moment was caught on camera. Josiah, whose mom is Laura Greer, was recorded outside of his family’s home in Wanaque, New Jersey in November. 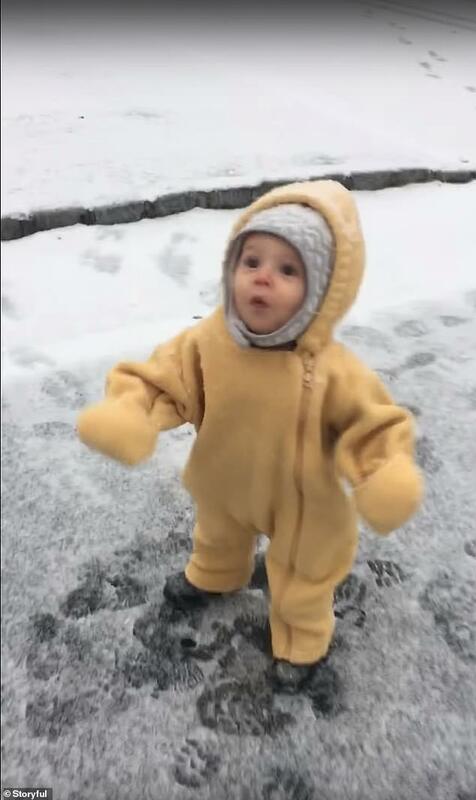 Dressed in a yellow onesie, black booties and a silver and white hat that fastened under his chin, Josiah was perfectly prepared for his icy adventure. 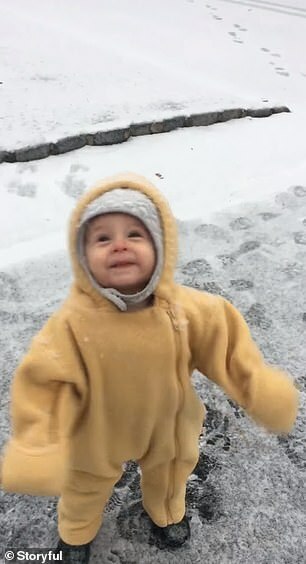 His joy is contagious as he happily oohs and awes at nature in action. 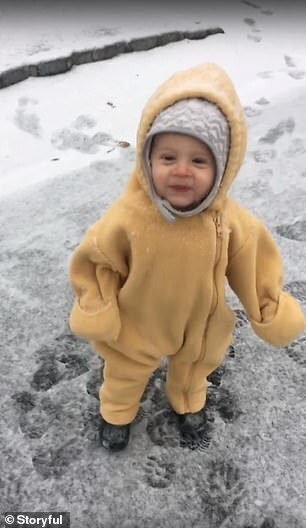 The little boy is seen in the video cooing and giggling as he gets his very first taste of snow, literally. 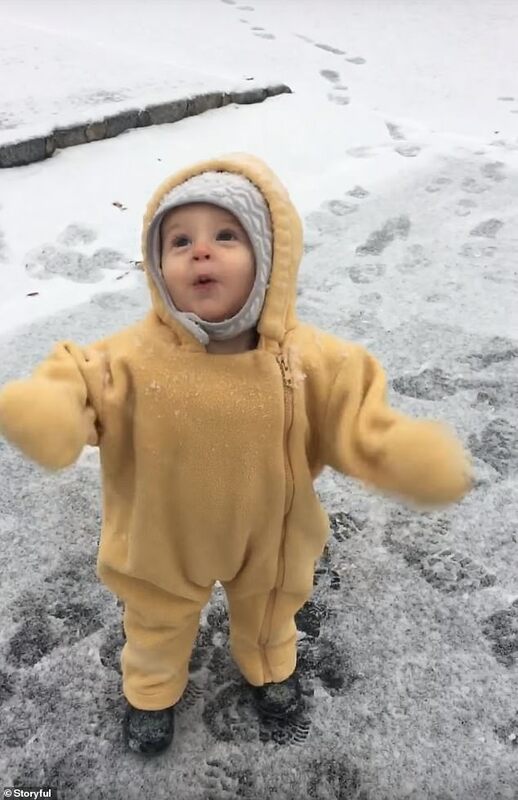 He looks up to the sky with his mouth open as a few snowflakes come floating down to the ground, with one or two certainly landing on his tiny tongue. 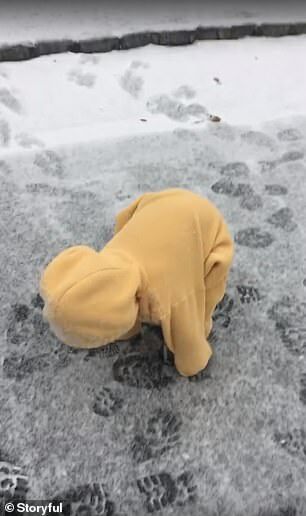 Trampling about in the freshly fallen icy crystals, Josiah leaves footprints in the fresh powder on the pavement. ‘Are you having fun?’ she asks, as the child bends over and stays put, with his hands to his feet, for a moment. ‘Oh buddy. Don’t fall over,’ the woman’s voice says. 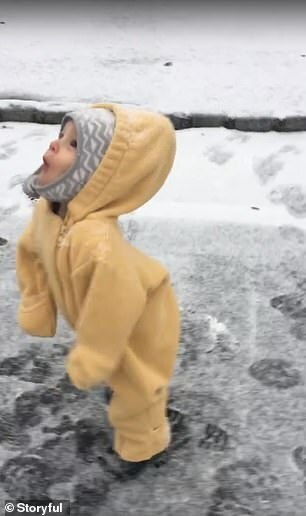 The child’s excitement is clearly contagious to the people watching him, as the woman says, ‘Whooooa,’ to the wide-eyed little guy. ‘Do you like it?’ the woman’s voice asks. ‘Do you like the snow?’ a man’s voice parrots, right after. The little boy must like it, because he can’t stop flapping his arms with joy, looking like a happy baby chick in his bright yellow outfit.